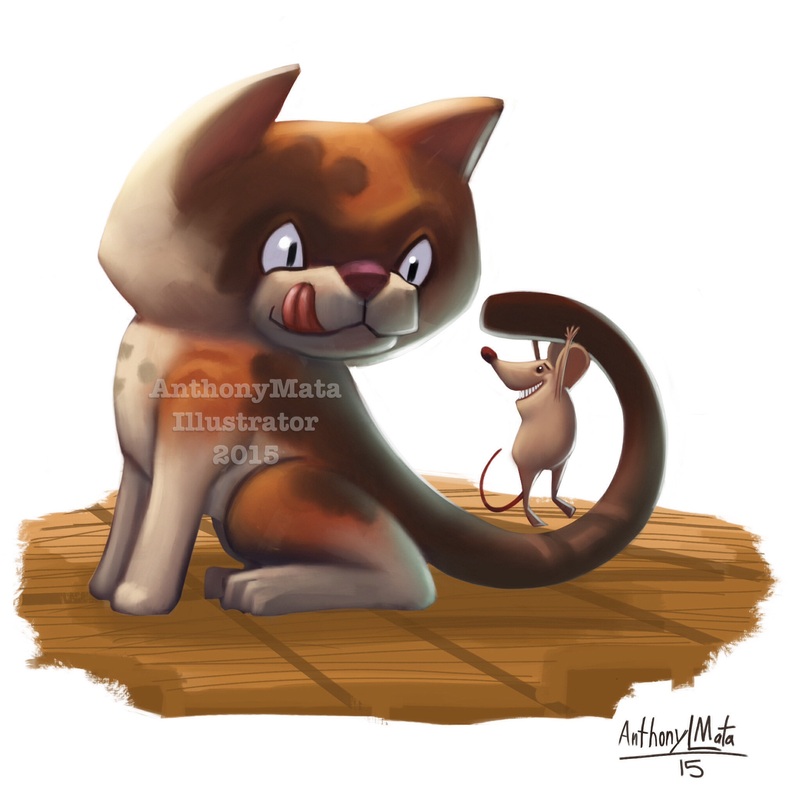 Mata illustrations – Creating Children's Books! I am improving my art and beefing up mu portfolio with this spot illustration, “Welcome to My Tale!” What i was painting for was value, shape, color harmony, composition or design, and storytelling. I’m satisfied with it so far, the next one with be a full illustration. The next update will be continuation of my road to the dummy book. 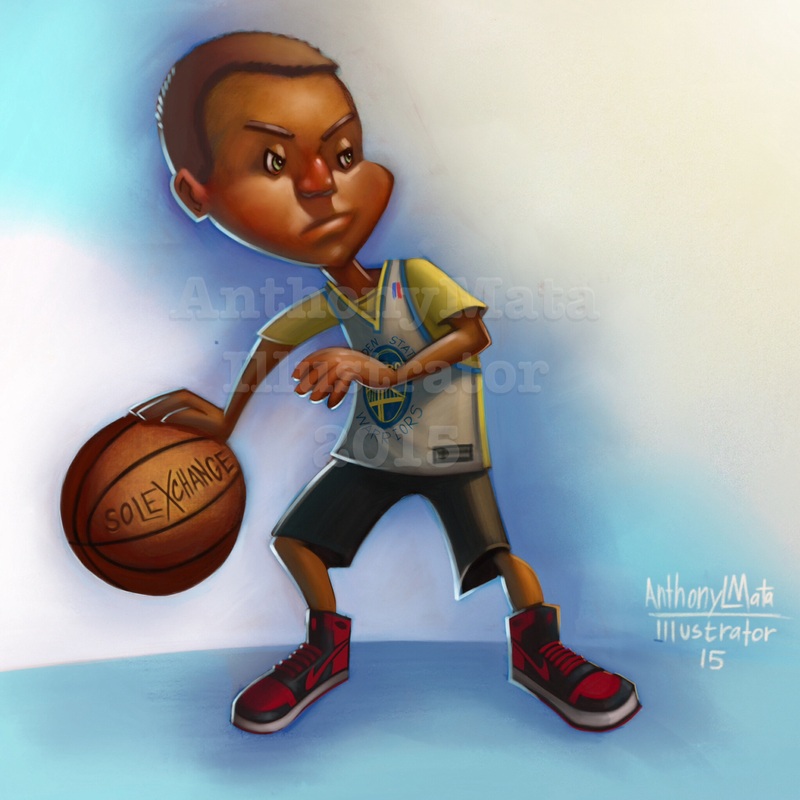 I’ve been illustrating for a long time now, mostly for news, magazines, comic books, and one children’s book. After visiting a peer group for portfolio review, i felt like i’m back to square one. They told me overall it’s good, BUT it can be better. I need illustrations of children, not just white kids every other ethnic group, no interior shots, not too many exterior shots, more story telling in your art, and lack of objects. That’s what i have to do because there’s a big children’s book event coming up, big names in publishing, agents, editors, and art directors are reviewing portfolios. A worthwhile opportunity i can’t miss! Here’s the start with this spot illustration. I find myself again taking or adding thumbnails to my pet project. Story still the same, it’s about what design makes sense or not and how to make the story visuallly interresting. Once i get this all straighten out, the next step is making a dummy book. What is a dummy book? It’s like a precuser of what the book might look like. 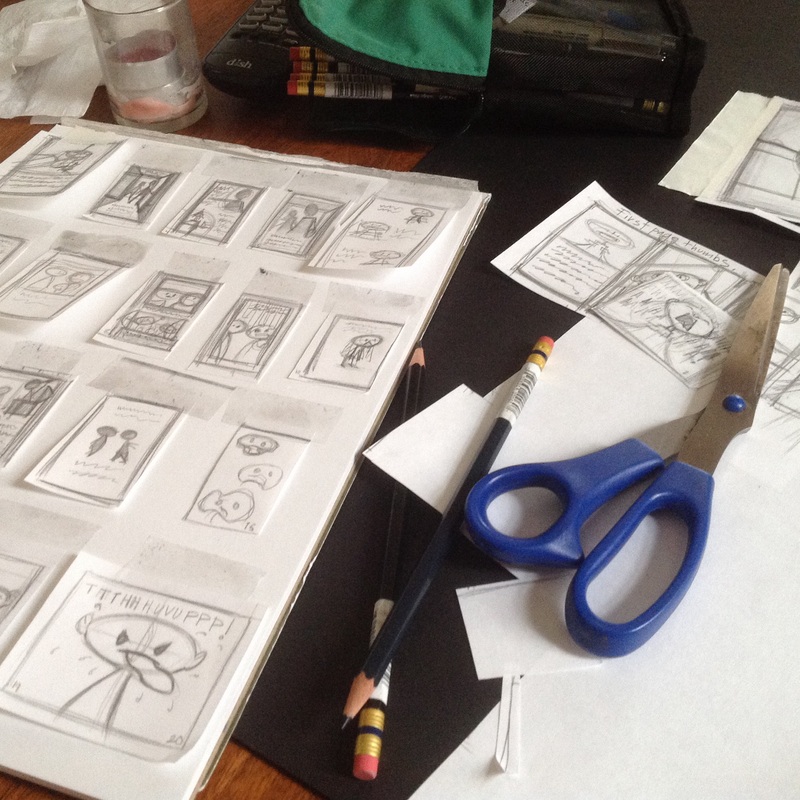 These small books must contain the story with the comp sketches, clearly rendered or drawn. You can print out the book OR save it as a PDF file. When i get to that, i will do a tutorial. Thanks for following along and it you have any questions, let me know! It’s actually good that i screwed up! 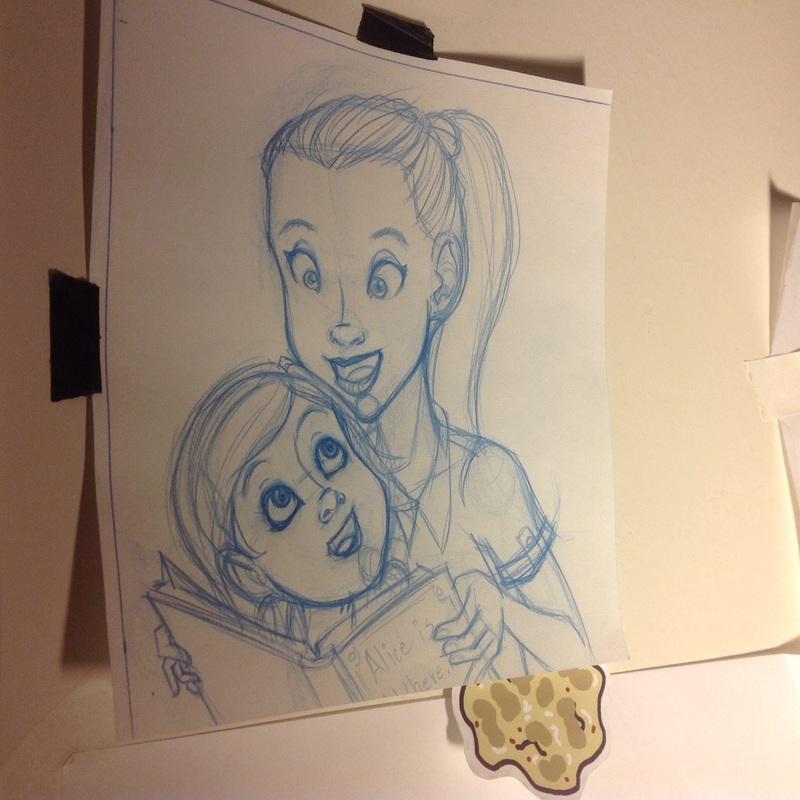 The first illustration for “Annabelle’s Ghost” is done, BUT not what i was hoping for. The problem is composition, the protaginist is set in the midde, which is boring. Two, Annabelle is too close to borders and not enough gutter space, areas of art that can be cut off. Thrid, the monochrome idea with the dramatic lighting was cool, but lacked color harmony. 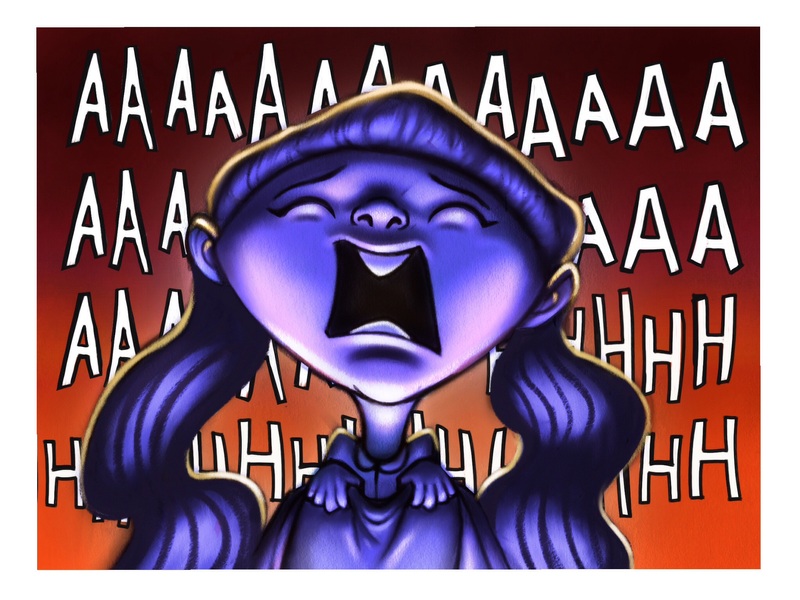 The scream text behind her seem cheesy and then you realize it’s all about legibility, you don’t want kids to struggle while they read, it’s about encouraging them. Because of this mishap, i had to go back and redraw the design. If anything, this illustration is an example of what not to do. It’s actually good that i screwed up. A visually interesting design and composition. stay away from mixing text and illustration. Questions or comments, let me know! Until then keep on drawing! How long does it take…. I had a discussion with professionals and peers who write or illustrate children’s books for a living. The topic was how long does it take to plan and publish a children’s picture book. Through a traditional publisher, it varies from a year to a decade. But the short answer a year or two is the average if everything went smoothly. A lot of things to consider, finding the illustrator, if the writing is solid, neogiating a fair deal with all parties, good plan and design, and if the publisher is willing to take a chance on the idea. Alot of things to consider. Other than that, I will keep on working on my project. Questions or comments, let me know. What’s up! it’s all about the comp sketches! So I took my small thumbnail and blew it up to 4×6 inches. 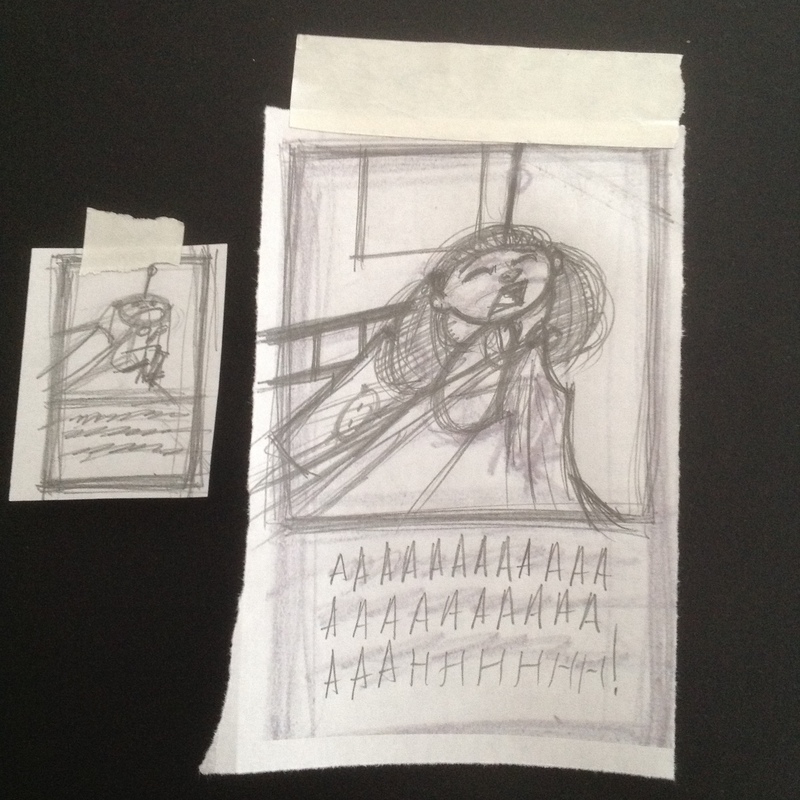 Comp sketches are designed to clear up the idea from the thumbnail. Where you can see Annabelle cower in fear at the corner of the bed. If there’s something wrong with it, I can always draw another design or fix it. As you can see, a full illustration with text in the white space. Got any questions, let me know! 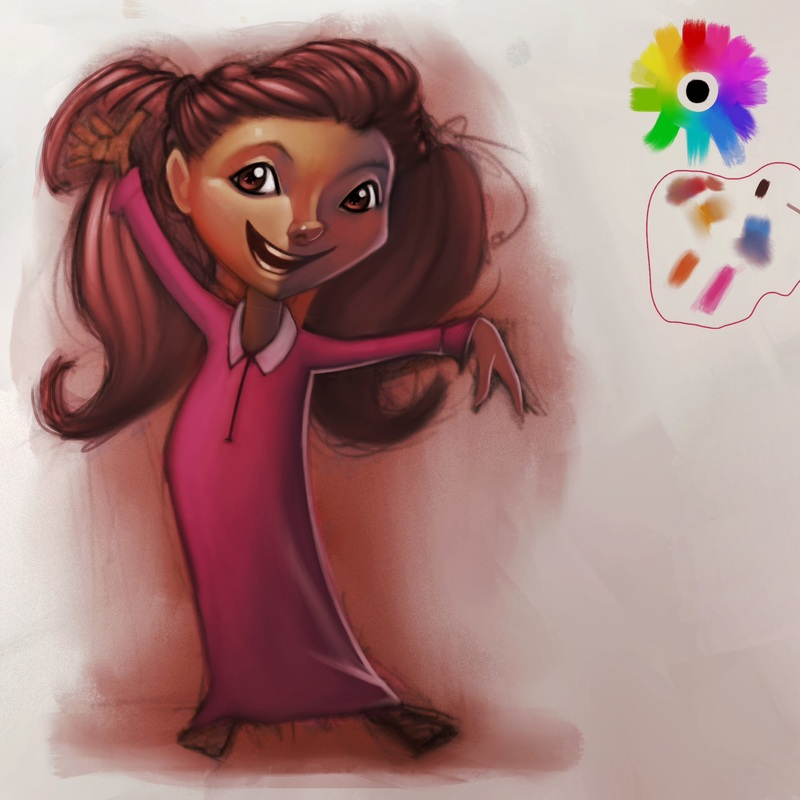 Color concept of the protagonist Annabelle. Doing this has helped me relearn a master painter’s old technique. Where you start from dark to light by first painting in sepia. Then add value or a cool blue for the shadow side. It’s cool because you can see the strong silhouette, color harmony, and nice value range. I used the Procreate paint app, but you can paint using Photoshop or Painter. Top right is my color wheel i like to create and more convenient than going to the color picker. The colors i circled in red, are the only colors i use. I use black and white too, but very sparingly. If you got any questions, let me know.